The purpose of lubrication on tissue machines is to ensure that bearings, gears, and couplings operate smoothly for a long time by keeping the metal surfaces separated. Lubricants reduce friction, heat, and wear by maintaining an oil film between the moving metal surfaces. Oils and greases can both be used as lubricants, and each type has its advantages. 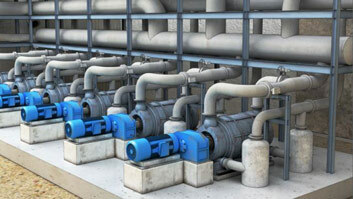 Lubricants can be applied manually or by circulating or automatic systems. 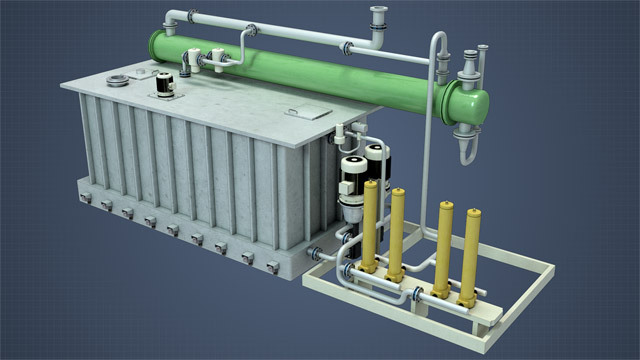 Circulating lube oil systems use heaters and water-cooled heat exchangers to maintain the oil in the proper temperature range, and filters to remove solid debris. 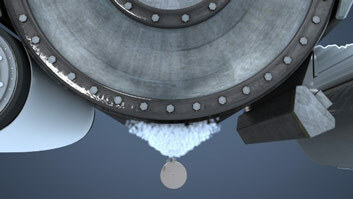 Water and solid particulates can be removed from oils by vacuum dehydrators and centrifuges. Why do different lubrication points sometimes require lube oils with different viscosities? Thicker or higher viscosity oils are used to lubricate slower speed or more heavily loaded applications, and lower viscosity oils are used for higher speed, more lightly loaded applications. Why are grease lubricants sometimes used instead of lubricating oils? Grease lubricants have several advantages over oils: they provide some sealing action, protect against corrosion, and adhere better to metal surfaces. Why is important to prevent lube oil from overheating? Lube oils can break down chemically if they overheat. 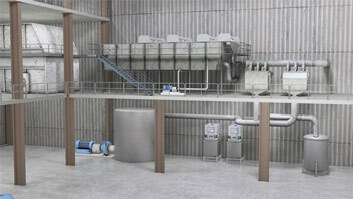 How is the cleanliness or condition of the lube oil circulating filters monitored? 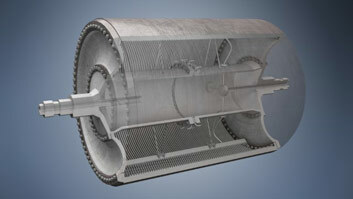 Differential pressures around the filters are monitored and used to indicate filter plugging and need for replacement. When lube oil is sent out for analysis, what is analyzed? A typical analysis will determine dirt content, water content, wear metals present, and the level of oxidation. The amount of additives can also be determined. The main function of lubricants is to keep moving metal surfaces separate in order to reduce friction. 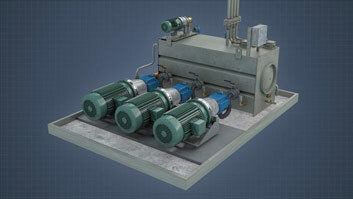 On tissue machines, lubricants are used to reduce friction, wear and heat in bearings, gears and drive couplings. Common lubrication points include roll bearings, dryer gears, drive gearboxes and couplings, pump bearings, fan and blower bearings, and agitator bearings. Lubrication is accomplished with the use of various types of oils and greases supplied to the process by different types of lubrication systems. Lubrication methods, types, and procedures have a major on the life of machine components, uptime, overall reliability, and profitability.